For people in the business of moving other people, and that includes families, the 2018 Ford Transit Connect Wagon is a sensible choice. Desirable? Maybe not. But the compact 2018 Ford Transit Connect van is useful beyond a doubt. The revised 2019 Ford Transit Connect Wagon comes with versatility, new safety features and the option of a frugal diesel engine. 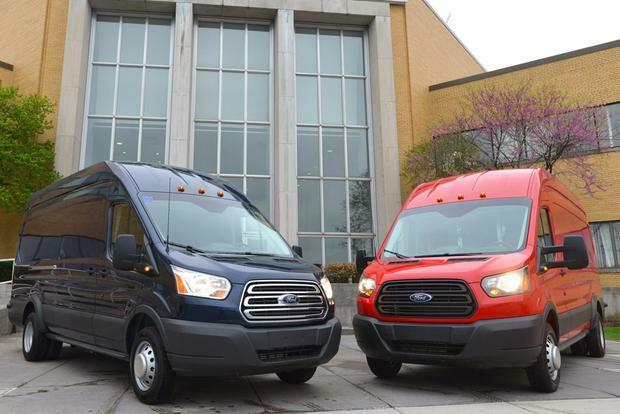 2015 Ford Transit vs. 2014 Ford Transit Connect: What's the Difference? Not sure what the difference is between Ford's two similarly named cargo vans? We take a look. The all-new 2015 Ford Transit van delivers the goods in more ways than one. The 2015 Ford Transit Connect is a compact cargo van that's also offered as a family-friendly wagon. Is it big enough for serious work duty? 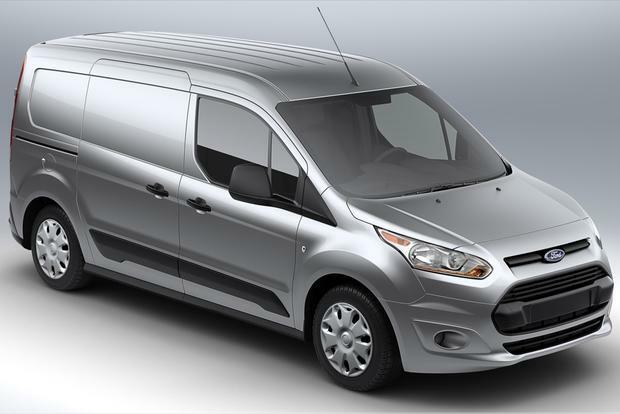 What's New: The Ford Transit Connect is redesigned for the 2014 model year. It boasts new engines, a new transmission, totally new styling and a litany of new features. Fuel economy and acceleration are also increased over last year's model. 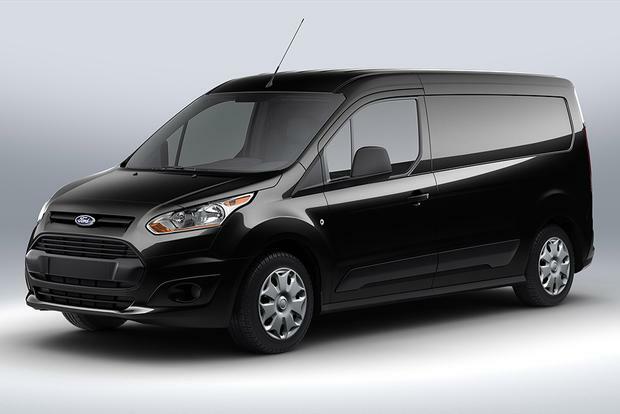 If you're looking to haul goods around a big city where space is at a premium, look no further than the 2014 Ford Transit Connect Van. 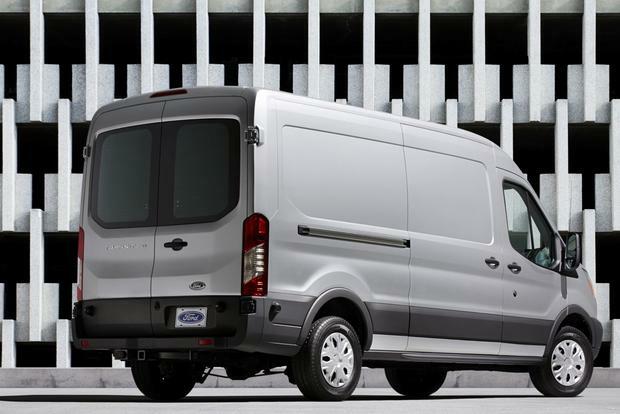 While Ford also offers the Transit Connect as a "Wagon" with seats and windows, this overview focuses on the "Van," a cargo model aimed at commercial shoppers. Initially revealed for the 2010 model year, the Transit Connect presented a compact alternative to full-size cargo vans such as the Ford E-Series and Chevrolet Express. For 2014, it's fully redesigned. One big improvement is the van's engines. Last year's lethargic 136-horsepower 4-cylinder is gone, replaced instead by a newly standard 169-hp 2.5-liter 4-cylinder or an optional 173-hp 2.0-liter turbocharged 4-cylinder. Both use a 6-speed automatic transmission in place of last year's 4-speed. Other major changes from last year come to the van's body. While the outgoing Transit Connect was offered only in one size, the latest model offers shoppers the choice between short- and long-wheelbase versions. There's also a new option that allows drivers to choose between dual rear doors or a more traditional tailgate. 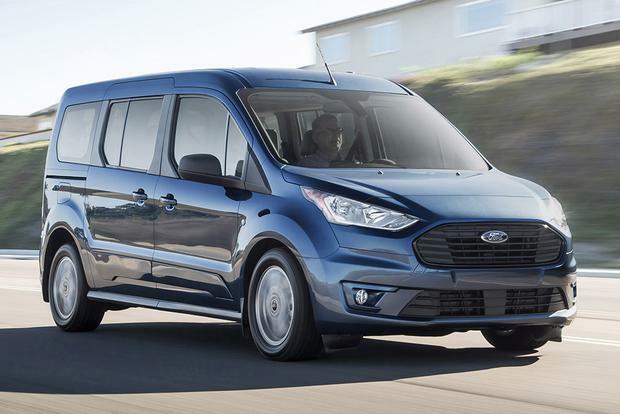 As for pricing and trim levels, Ford has made Transit Connect shopping easy by offering just two van models. There's the XL Van, which starts around $22,500 with shipping, and the XLT Van, which is just above $24,000. Standard features are sparse, as they usually are with commercial vehicles, but the XLT includes cruise control, a 4.2-inch LCD screen and a 12-volt plug in the cargo area. The 2014 Ford Transit Connect isn't on sale yet, but Ford says it should begin reaching dealers this fall. In the meantime, if you just have to get a compact cargo van, look for deals on the outgoing Transit Connect model.